The area was first settled in the 1820s by Anglo-Americans who set up large cotton plantations. Later arrivals were members of Austin's "Old Three Hundred." After the Civil War, the community's future looked dim. 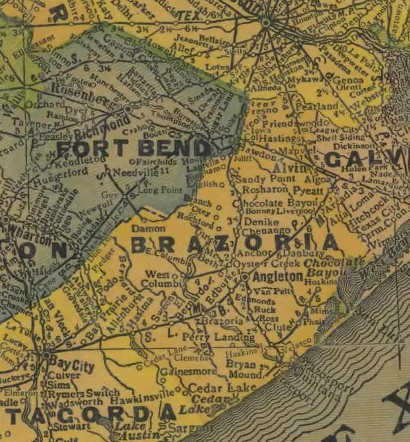 Growth was non-existant and it went into an economic coma until after WWII when it was one of several communities included in the Brazosport industrial and port area. Jones Creek had a population of 2,851 in the mid 1950s and included former communities of Perry Landing, Peach Point, and Peach Crest. Gulf Park, a residential community established in 1927 is included under Jones Creek. The town incorporated in 1970 and it was around that time when the population declined to 1,268. Ten years later it had returned to 2,634. 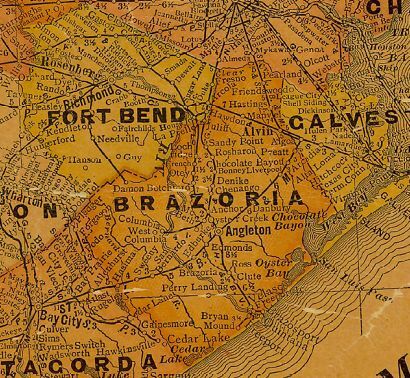 The Austin School, two churches, and several buildings were shown on county maps in the 1970s and the Gulf Prairie Church and the Gulf Park settlement are nearby.